That's not objective. It's missing LineageOS on all Android devices, short cycle security updates, long term support. Exactly. And after EOL iPhones become the least secure phones in the market because you can't even run a new web engine on them. My backup phone is 6+-year-old Samsung S4 Mini. 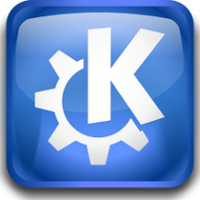 I can run the latest Android (LineageOS) or latest browser (Firefox) on it. Show me that with a 6-year-old iPhone. @sesivany @erAck Your argument is that an EOL device is, well, EOL? And yes, I can show a whole drawer full of less than 4 year old Android devices that have been abandoned by their respective manufacturers. Some even after a year. @jwildeboer @erAck I'm not defending the Android vendors. I'm just saying that unlike iPhone Android devices are not usually completely lock-down which has a positive effect on security because it allows me to switch to something that has timely updates and lifetime exceeds the iPhone's. My laptop came with Windows. Do I care about Windows security? Not at all because I installed an OS of my choice the first day I got it. @sesivany @erAck But I guess we do agree that it&apos;s maybe 1% of buyers of devices that install alternative OSes on them. That the majority doesn&apos;t even know alternatives exist. Agreed. One more reason to spread the word. With listing LineageOS as well the chart could tell "and hey look what you get when using this on any of the supported phones". @erAck @sesivany But even when including LineageOS, it wouldn&apos;t change the main argument of the chart that AndroidLand is quite a barren landscape wrt security updates. @jwildeboer @erAck Yeah, lifetimes, not releasing updates at all or with delays in months is bad, on the other hand comparing response times of an open source and closed source system is always a bit "apples and oranges". Security issues in open systems are typically publicly disclosed earlier while in proprietary software it's often when the fix is made available... or never. @jwildeboer If people use this chart to decide what phone to buy, this is relevant. If they are educated about the possibility to install LineageOS to get access to OEM- and carrier-independent, frequent updates over a long support period, they might choose that instead of iOS where if their phone is EOL'd by Apple, there is nothing they can do except buying a new phone. @colomar @sesivany @erAck But AFAICS LineageOS doesn&apos;t support all Android devices and when buying a new device you cannot be sure if it is or will be supported by LineageOS. I honestly wouldn&apos;t know how to build a chart with that information included. @erAck @colomar @sesivany Yes. And their latest blog entry is from November last year and contains the not-so-reassuring "This week we are dropping a number of 14.1 devices which maintainers are absent or not interested in maintaining them anymore." I am simply not convinced that LineageOS is a consumer-ready replacement for a relevant subset of Android users. But that&apos;s IMHO, nothing more. 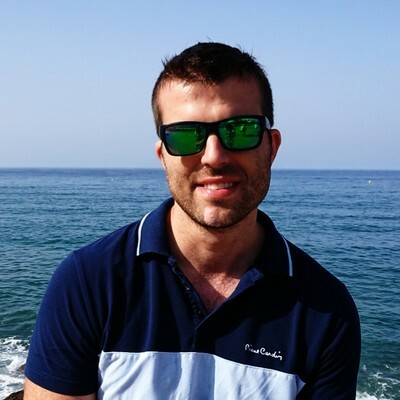 @jwildeboer @erAck @colomar Yeah, I believe more in projects like @gael's https://e.foundation/. Not only they solve the security, but they also solve privacy (with both standard Android and iOS you hand over huge amount of your private data to Google and Apple). We'll probably end up with two phones in the pocket, one privacy-enabled, and another one needed for all those Apps that insist on GCM/FCM (or iOS features); at least as long as the entire stack isn't completely sandboxed and can be run in two VMs in parallel..
Heck I *already* have two phones in the pocket, one for phone calls and one Android toy thing. I think /e/ actually has an answer for that because it's reimplementing Google API, so that apps that rely on it can run on a system which doesn't call to Google all the time. @erAck How would adding LineageOS change the numbers on official vendor support for security updates? Certainly not on official vendor support. 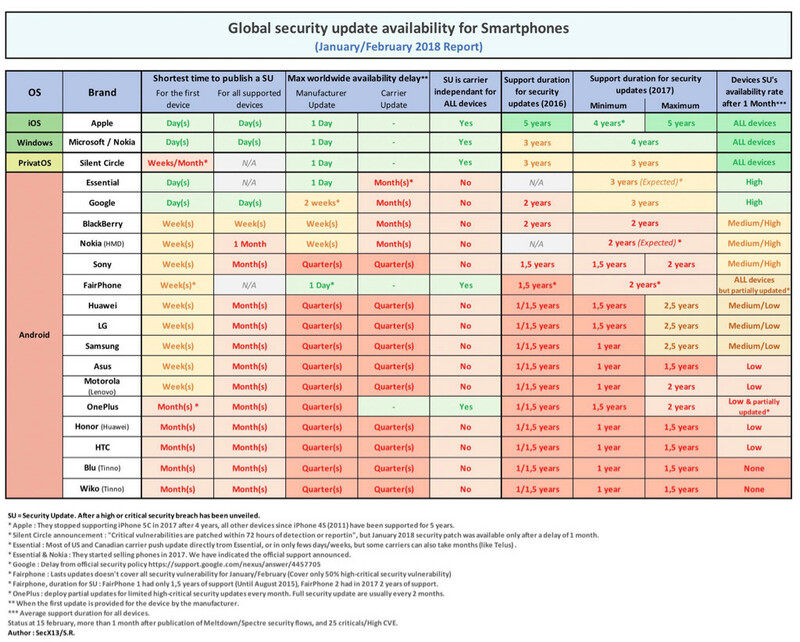 The chart's title is "Global security update availability for Smartphones". Phones running LineageOS still receive security updates after being delisted by the vendor.